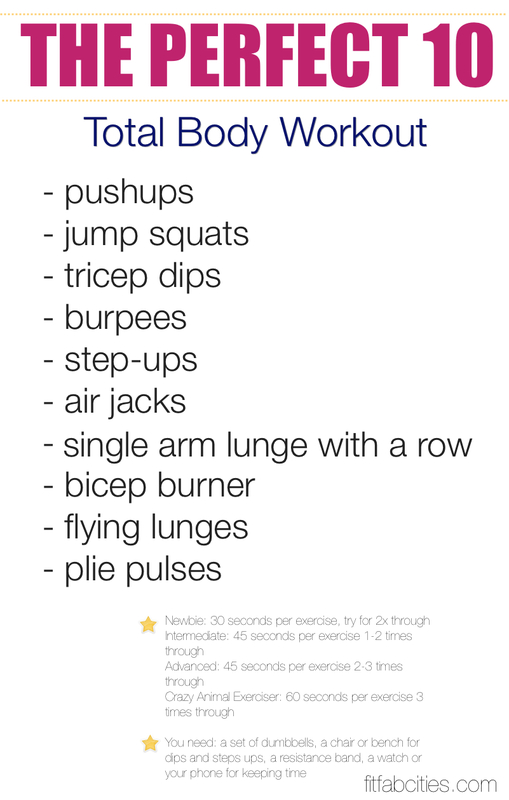 Who doesn’t love a super quick and effective workout? Here’s one you can do first thing in the morning or if you find a little extra time in the day … before you know it your cardio will be conquered! It’s inspired by one of my favorite Insanity workouts and some if the fitness classes I teach, plus it consists of 30 second high intensity cardio intervals, so you know it burns tons of calories. Try do to this two to three times a week and you’ll be in super shape for the upcoming swimsuit season in no time:) So grab your ipod or put on your favorite playlist and crush those calories!!! p.s. if you have questions about any of the exercises just ask in the comments section and I’ll get back to you as soon as possible. It’s time for another tabata interval workout video! This one’s a little different then the previous tabata video… instead of all cardio, this workout alternates a cardio move with a strength move so you get your heart rate going and you build strong muscles, all at once. Tabata protocol means alternating 20 seconds of high intensity work with 10 seconds of rest and repeating that pattern in 4 minute segments. It’s one of the most effective ways to burn calories and increase you fitness, plus it’s a go to for celebs like Jessica Biel and Vanessa Lachey. You can follow along and get the full workout with this video and feel free to go through 2 or 3 times if you need an extra challenge. You can check out the other tabata workout video here. You’ll get a combination of cardio and toning exercises and you can print the workout along with descriptions and modifications here…Printable Perfect 10 Workout. After a warmup the workout is broken up into three sections: the first section is a powerwalk up a steep hill, the second section is entirely on an incline and alternates jogging and running, the third section alternates sprinting up a hill with walking or jogging. Feel free to do on or two of the sections and if you’re looking for an advanced workout you can try all three. You cal also try adding just one section into your regular jog for a bit of variety. To modify try walking the workout instead of running or jogging. The changing incline will give you a great workout without needing to up your speed. 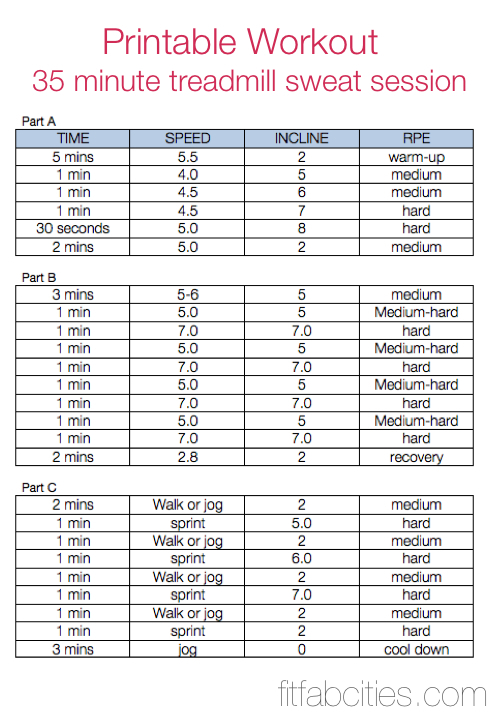 The speeds and inclines I’ve used are just a guide…feel free to modify up or down if you need to. This is especially true on sections B and C which are pretty intense. 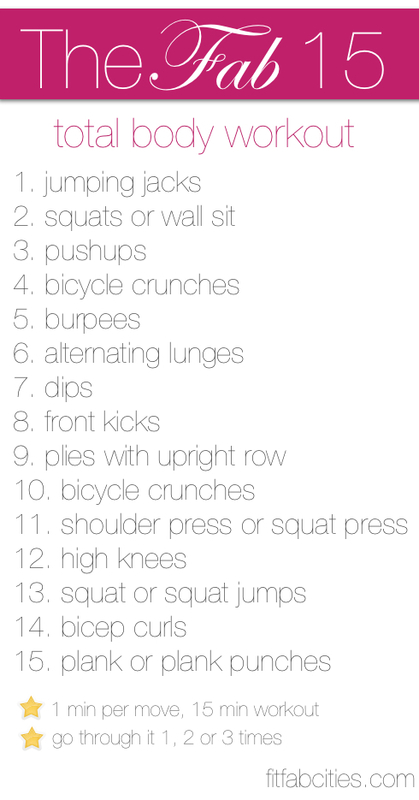 This workout is intense with sprints and hills so take as many breaks as you need to and drink plenty of water! What do these lovely ladies have in common…Jennifer Lopez, Angelina Jolie, Sophia Vergara, Penelope Cruz, Minka Kelly and Brooke Burke?Well, successful careers, amazing style and killer curves courtesy of one Gunnar Peterson. Gunnar is one of my favorite celebrity trainers and he’s the go to guy for actresses, models, musicians and even professional athletes who count on being in amazing shape and super fit for their jobs. You’ll do 15 moves and do each move for 1 minute. The workout is about 15 minutes long depending on breaks. To modify do each move for :30 seconds. You can do this workout at home, you only need a pair of dumbbells and a chair or bench for dips. Take as many breaks as you need whenever you need them. To make it more advanced you can repeat the workout for a total of 1, 2 or 3 total times through. Put together your favorite playlist or you can do this workout while watching your favorite TV show.